There's nothing subtle about a Classic Exhibits Island Exhibit. 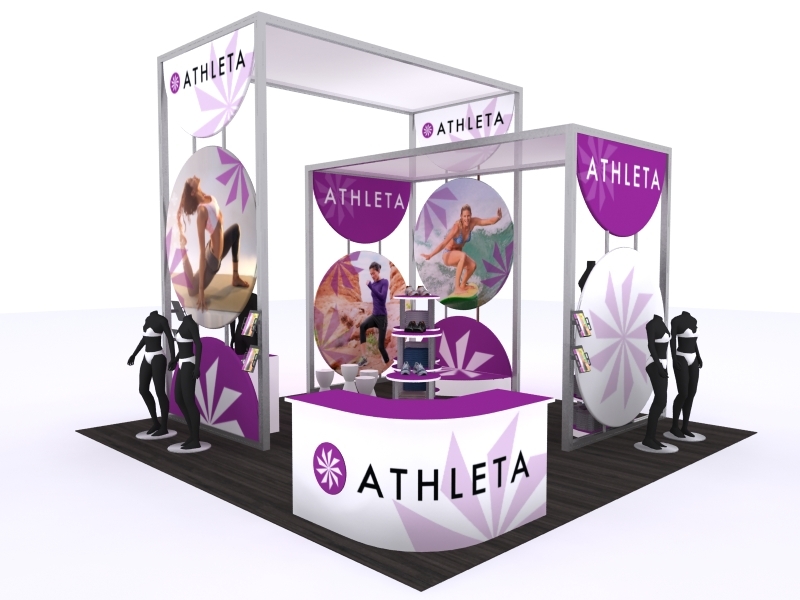 Islands are the BIG DADDY of any trade show. 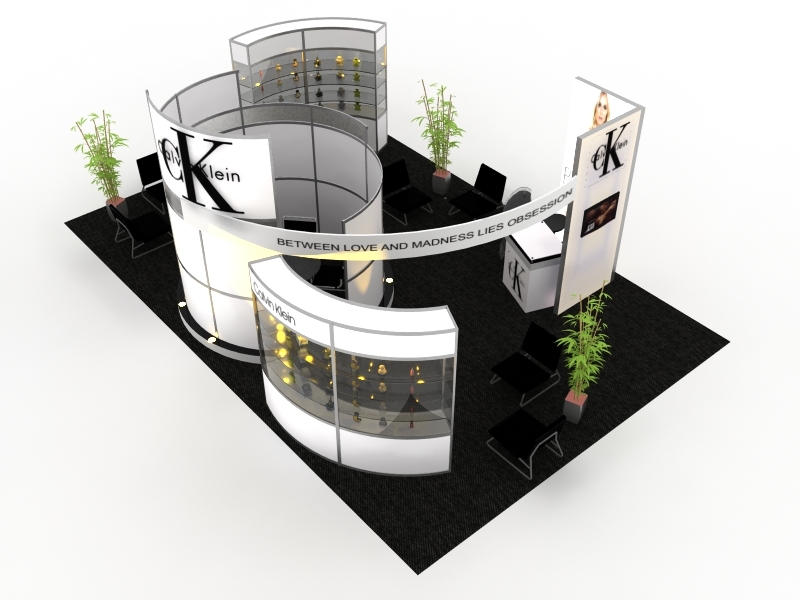 With an island exhibit, you're guaranteed to make a STATEMENT while showcasing your product or service. Feel free to create presentation areas, meeting rooms, casual lounges, or multiple workstations. Even large lightboxes. 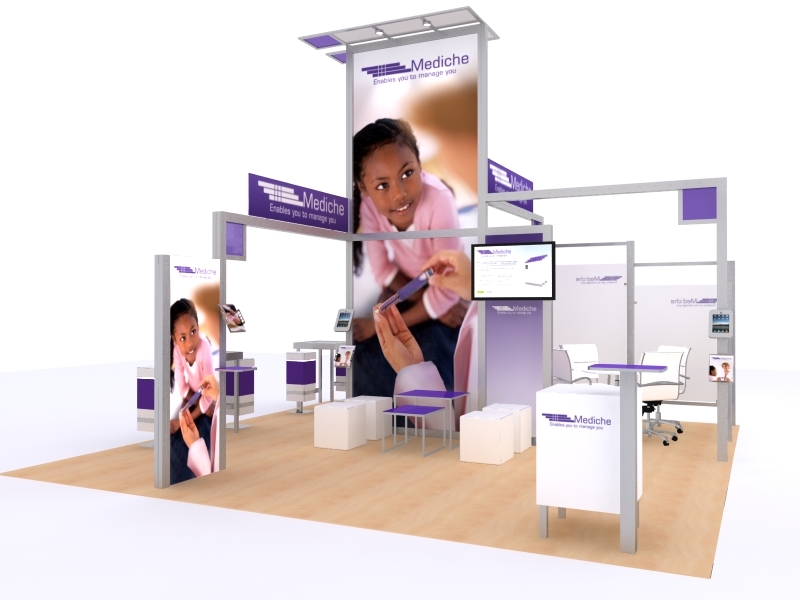 Whether you need a 20 x 20 or a 70 x 90, we invite you to explore over 100 designs with many that re-configure to smaller inline displays. 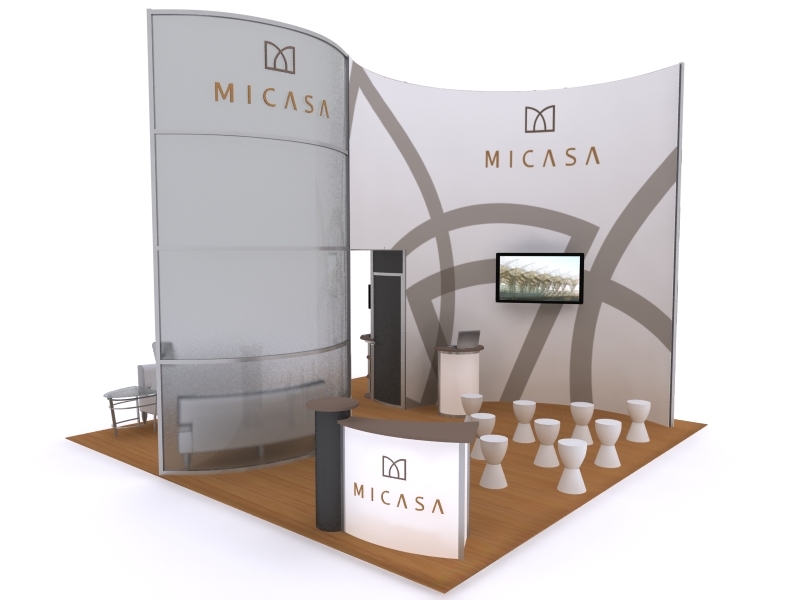 Better yet, let us create an island design that fulfills your trade show goals. It's as easy as a click or a phone call away.